Mammalia is the class of animals that is distinguished as having 3 middle ear bones, hair, mammary glands, and a neocortex (a region of the brain). There are currently 5,487 species in 27 orders worldwide. There are 474 mammal species in 166 genera and 46 families currently found in North America north of Mexico and its adjacent waters. 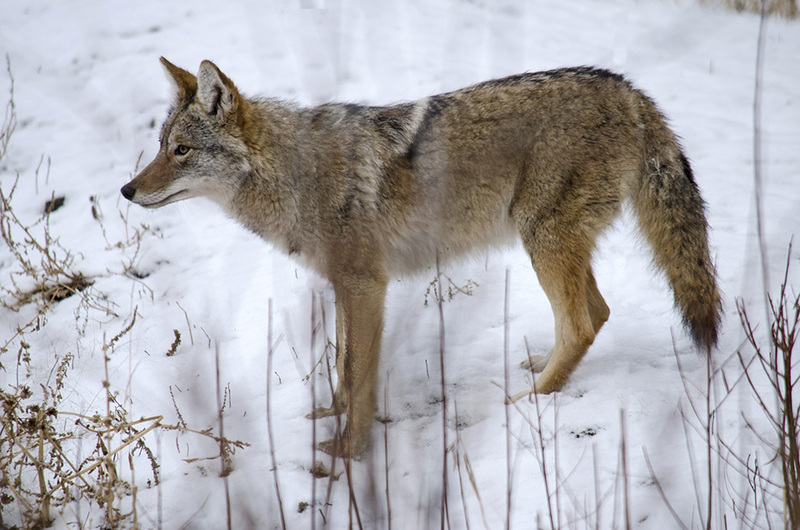 There are 78 mammal species native to and currently found in Minnesota. 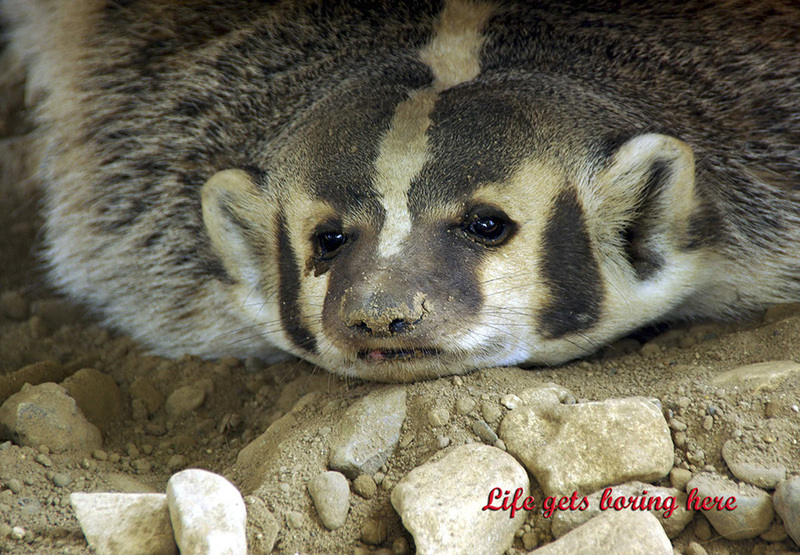 American badger (Taxidea taxus) is a solitary, medium-sized, common but seldom seen, carnivorous mammal. 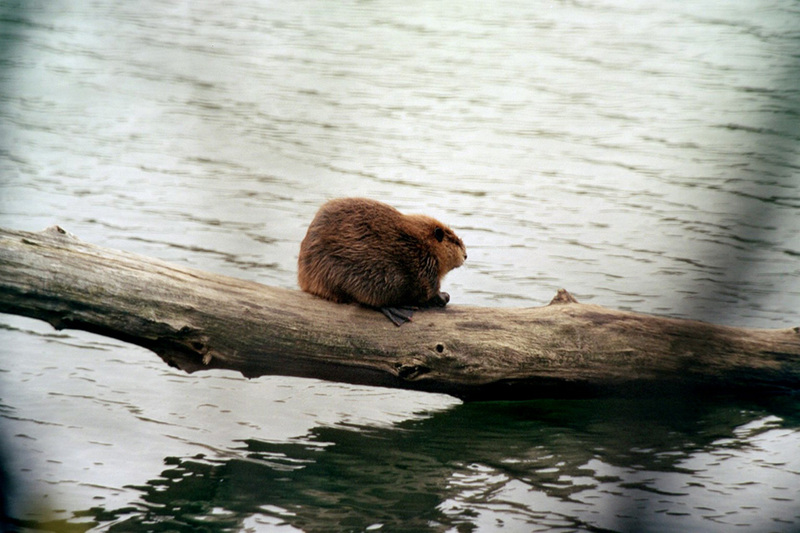 It is a solitary animal, active mostly at night but also often during the day, especially in early morning. 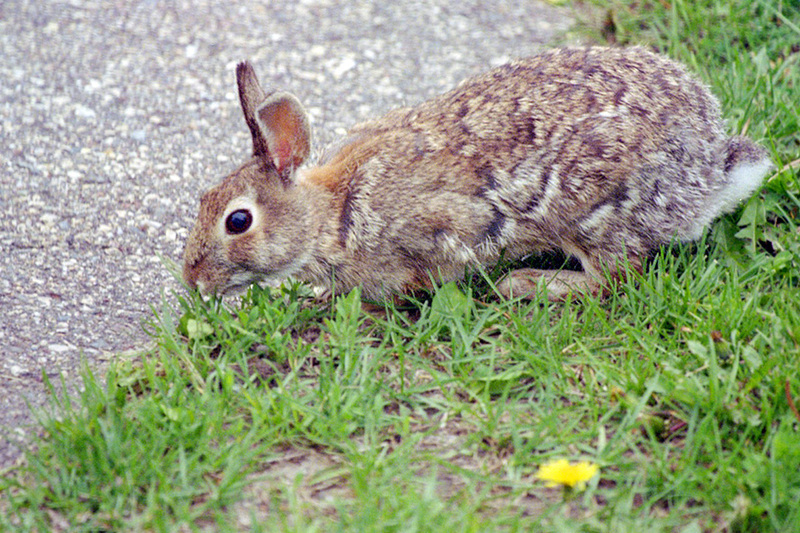 It has a home range of about 1 square mile in which it may have up to 46 burrows. 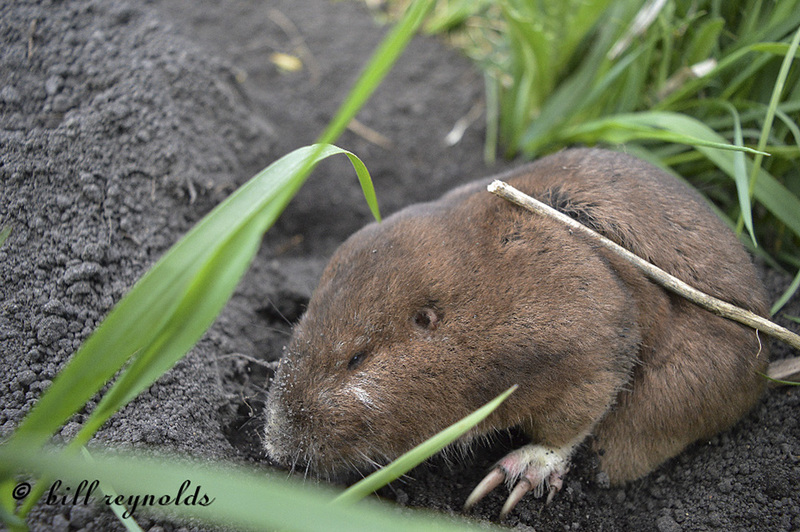 It is a good digger, the only mammal that can dig out pocket gophers. 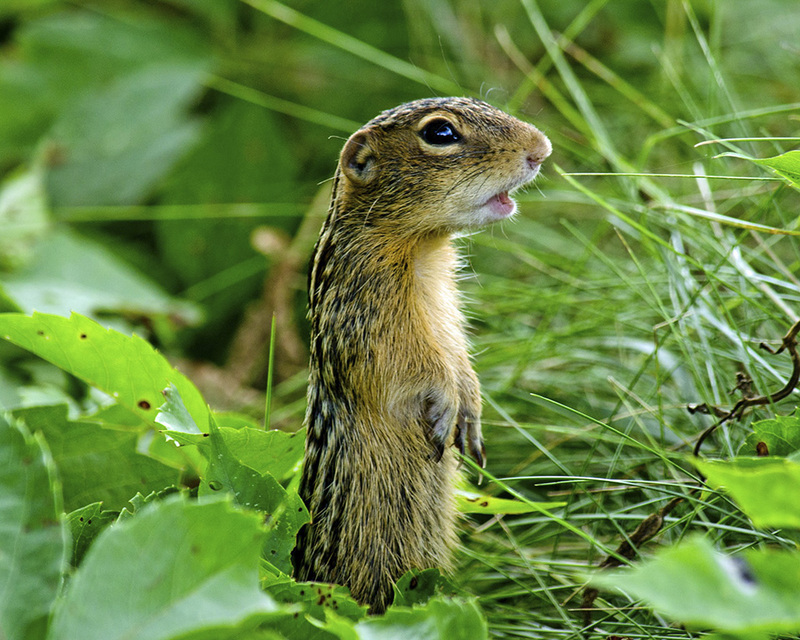 It eats mostly ground squirrels and pocket gophers, but also voles, mice, reptiles (including rattlesnakes), amphibians, ground-nesting birds and their eggs, insects, and other invertebrates. Badgers are easily recognized. The low, flattish profile and white middorsal head stripe are diagnostic. 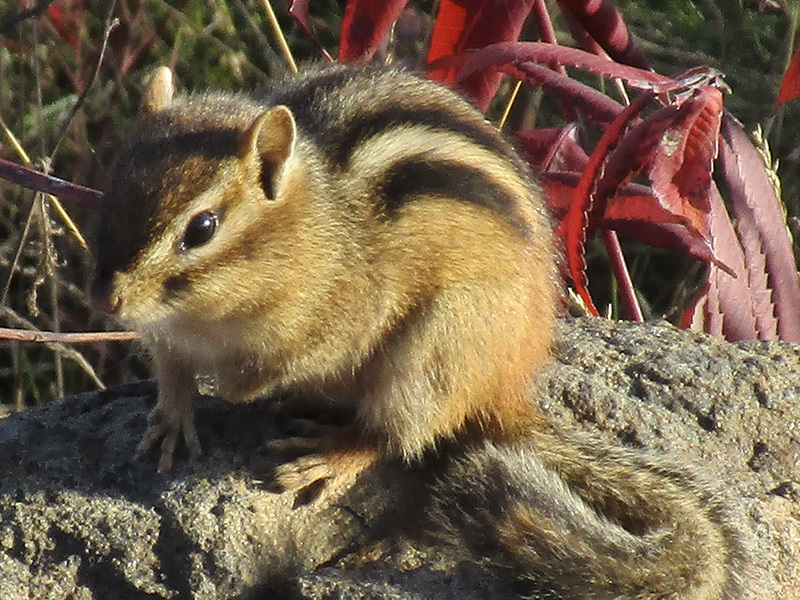 The common name is thought to refer to the black “badge”-shaped markings on their cheeks. There are four, fifteen, or twenty-one subspecies of badger in North America, depending on who you ask. All sources recognize the two subspecies found in Minnesota. Common badger, the largest subspecies, is found in the western border counties. 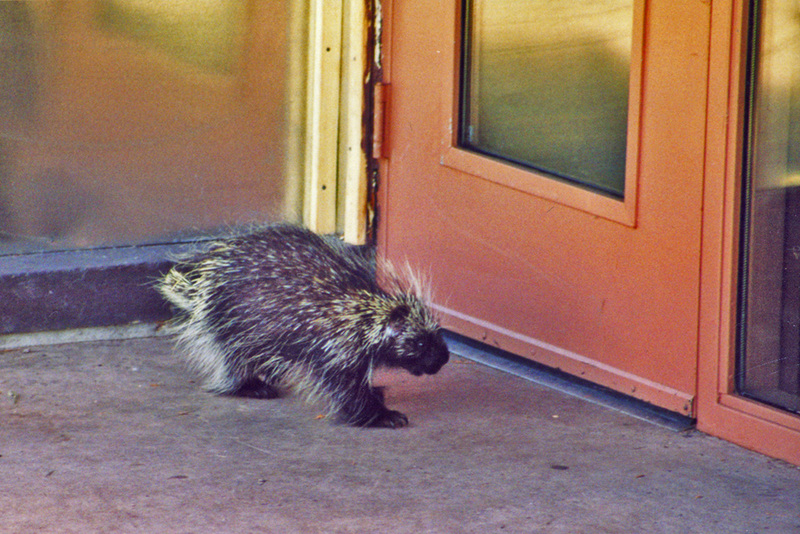 Jackson’s badger, typically darker and smaller, is found in the remainder of the state. 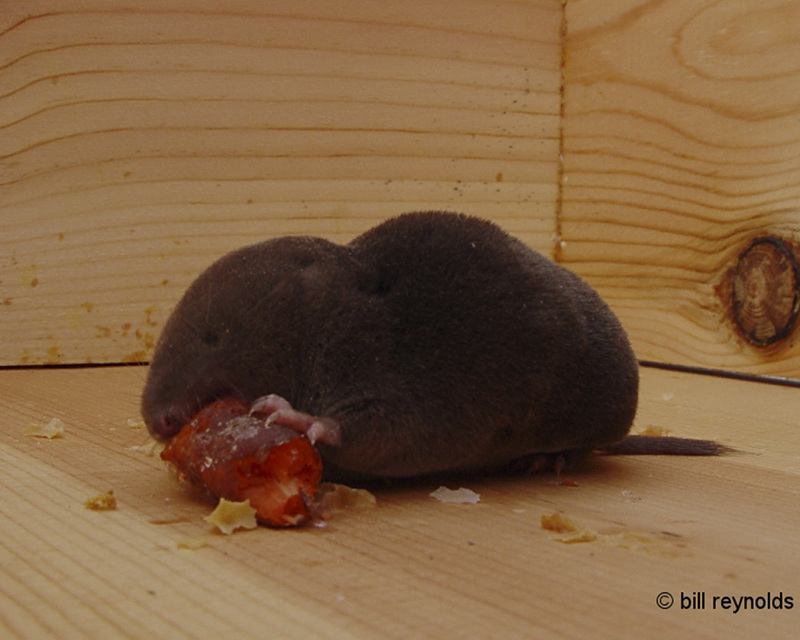 Northern short-tailed shrew (Blarina brevicauda) is the only poisonous mammal on the North American mainland. Its poisonous bite allows it to paralyze its prey and eat it at a later time. It is sufficiently strong to kill animals up to the shrew’s size, and to produce a very painful reaction in humans who handle the shrew. It has a poor sense of smell and very poor vision. It can navigate and detect objects in its environment using echolocation and and touch. Like bats, it emits a series of ultrasonic squeaks to detect its surroundings. Unlike bats, it does not use echolocation to locate prey. 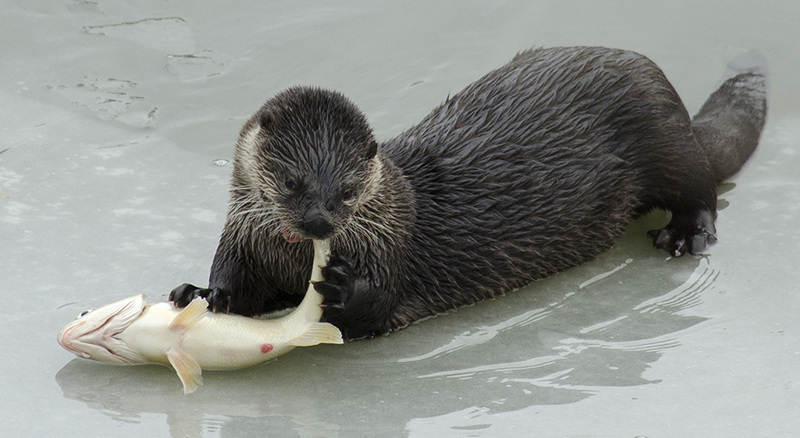 Its snout and whiskers are highly sensitive to touch. There are 385 species of shrew worldwide, 7 in Minnesota. Northern short-tailed shrew is the largest and most widespread in eastern North America and the most common in Minnesota. The combination of large size and short tail distinguish this from all other shrew species in Minnesota. 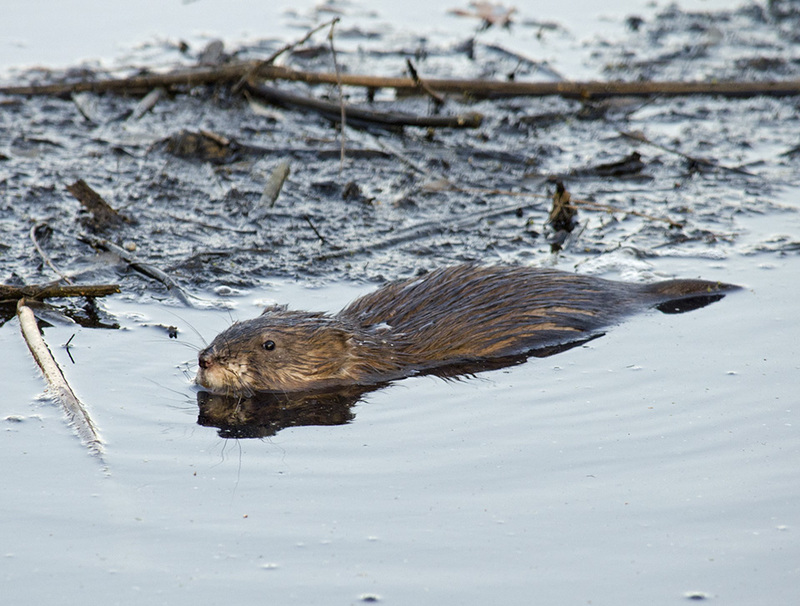 There are six species of voles found in Minnesota. 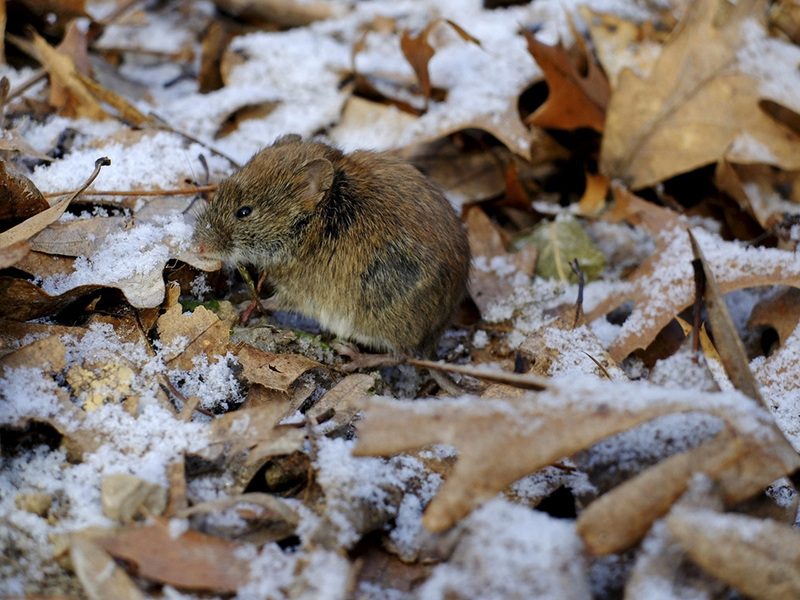 Southern red-backed vole (Myodes gapperi) is one of the smallest. It is common in moist deciduous, coniferous and mixed forests with stumps and logs for ground cover. 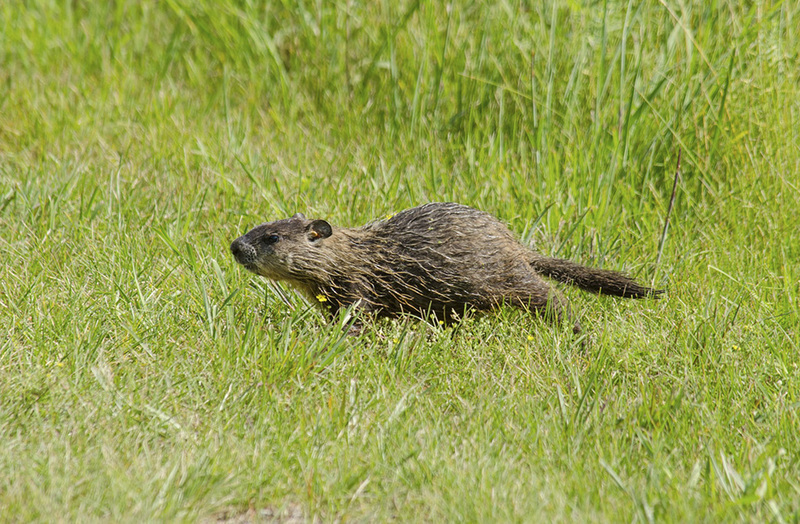 It is usually the most common rodent in cedar, tamarack, and black spruce swamps. 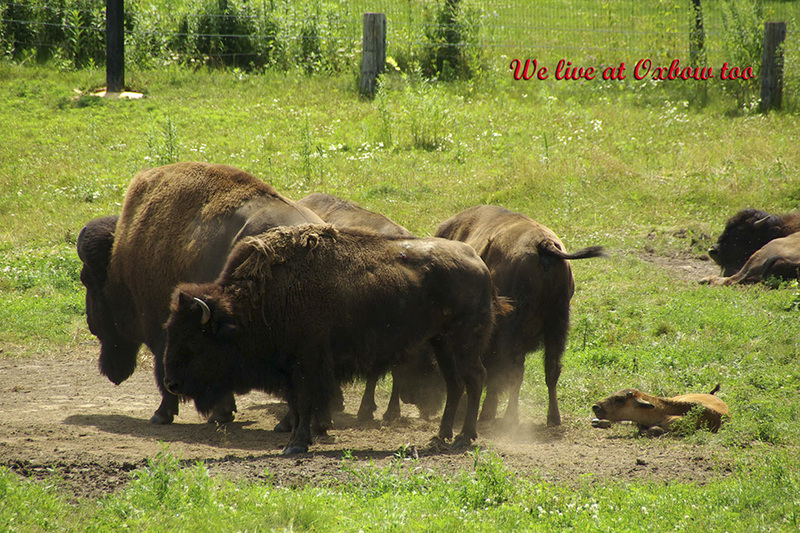 It is active both during the day and at night but more often at night. It is solitary, not forming colonies or pair bonds. It forages mostly on the ground but also in trees. This is the only vole in Minnesota that is a good climber of trees. 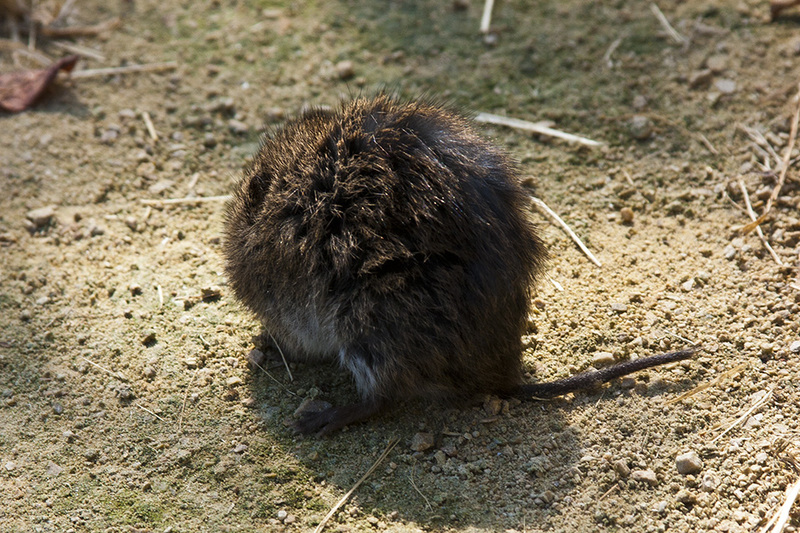 Southern red-backed vole is distinguished from mice by a stouter body; shorter, hairy tail; smaller ears and eyes; and molars with high crowns and angular cusps. It is easily distinguished from other voles by the gray sides and reddish back. Eastern red bat (Lasiurus borealis) is a medium-sized hairy-tailed bat. In their definitive work on eastern mammals, John O. Whitaker, Jr., and William J. Hamilton, Jr. describe it as “one of the most beautiful of all American bats.” It is widespread in Minnesota but not common. 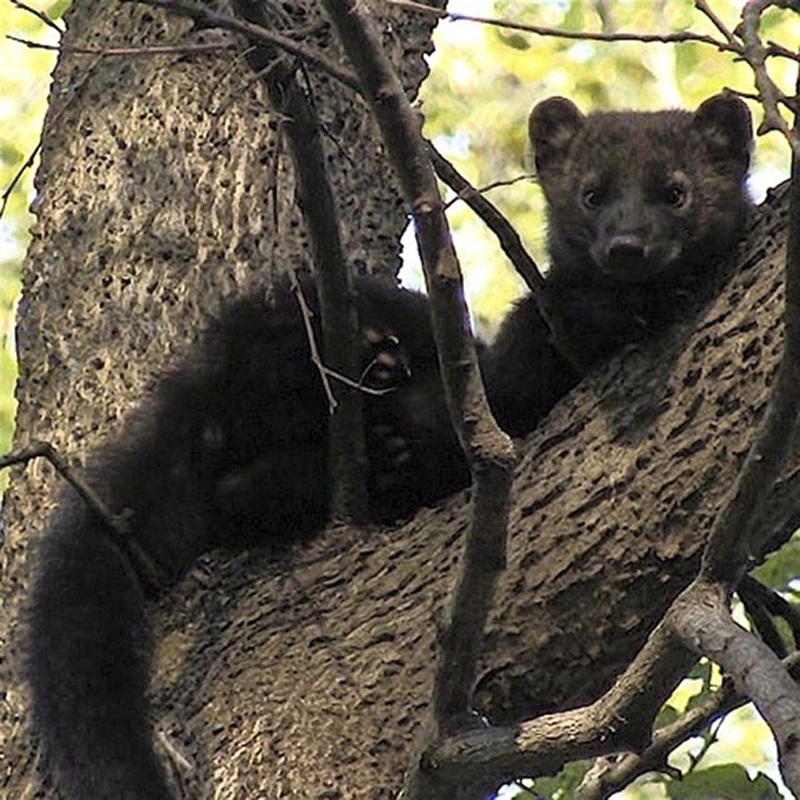 It is found in trees near open areas. During the day they hang by their feet in a tree or shrub with dense foliage above and to the sides but clear below, leaving a clear flight path. They for just a few hours beginning at dusk. They locate their prey both by echolocation and by sight. Males and females have different summer ranges. They are solitary individuals but come together to migrate in flocks of up to several hundred individuals. 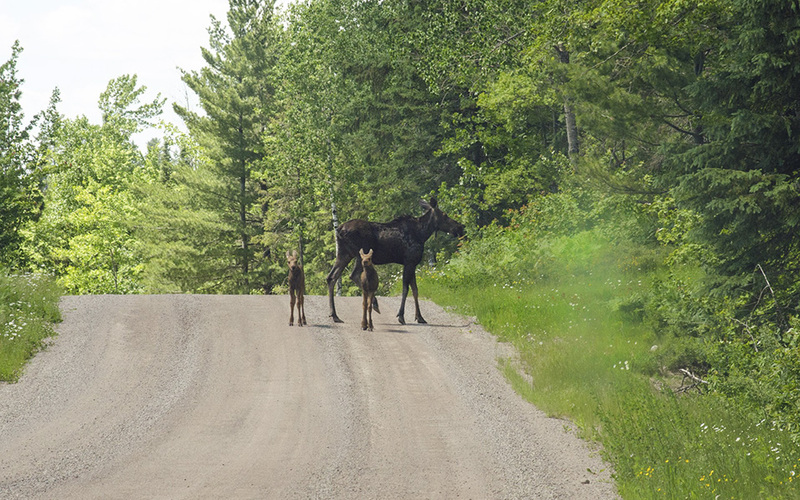 They head south for the winter but their wintering range is unknown. 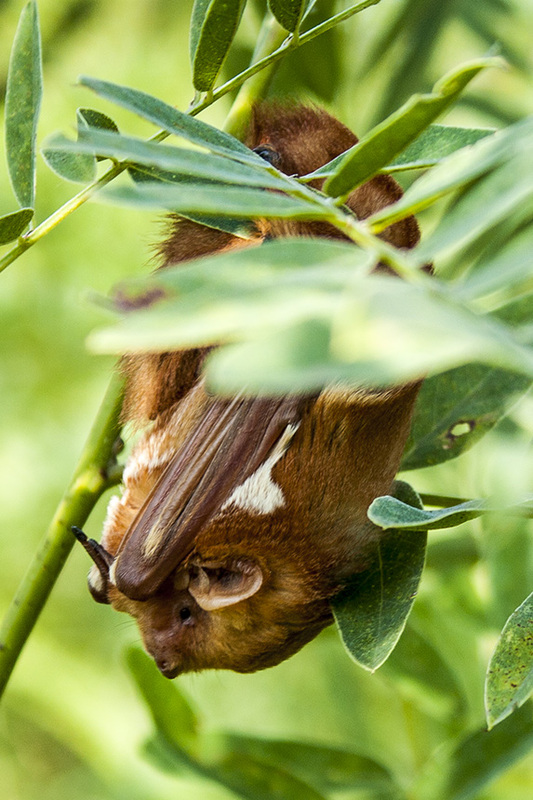 Eastern red bat is named for the brick-red fur of the male. It is further distinguished from other bats in Minnesota by white shoulder patches, long tail not extending beyond the wing-like flight membrane, flight membrane near the tail densely furry above, tail hairy above, and the projection partially covering the ear opening hairy at the base. North American deer mouse (Peromyscus maniculatus) is common and widespread in North America. 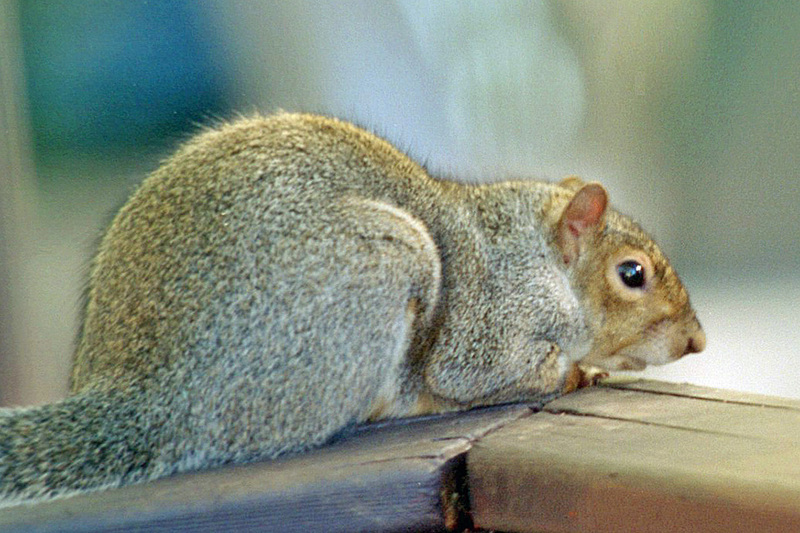 It is probably the animal most responsible for the transfer of the deadly hantavirus to humans in the central and southwestern United States. 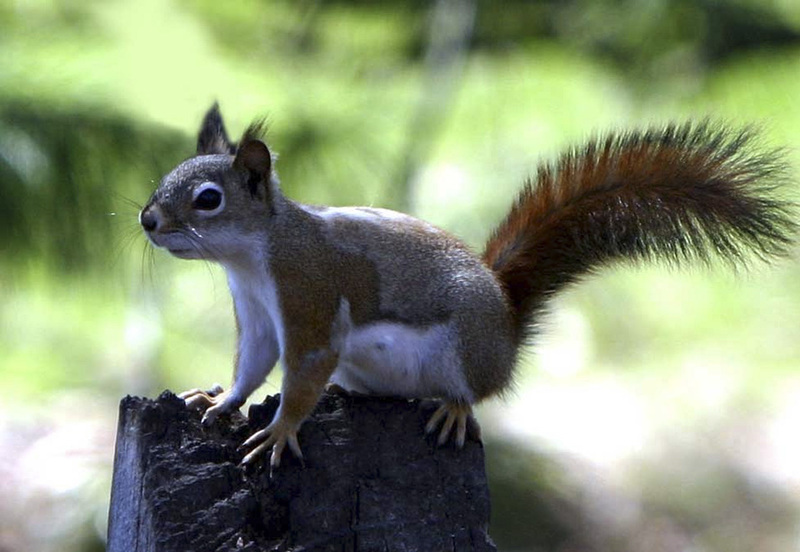 The species is recognized by its small size and its sharply bicolored tail. There are 67 currently recognized subspecies of Peromyscus maniculatus in North America. Two of these occur in Minnesota. Prairie deer mouse (P. m. bairdii) is found on grasslands and agricultural fields. 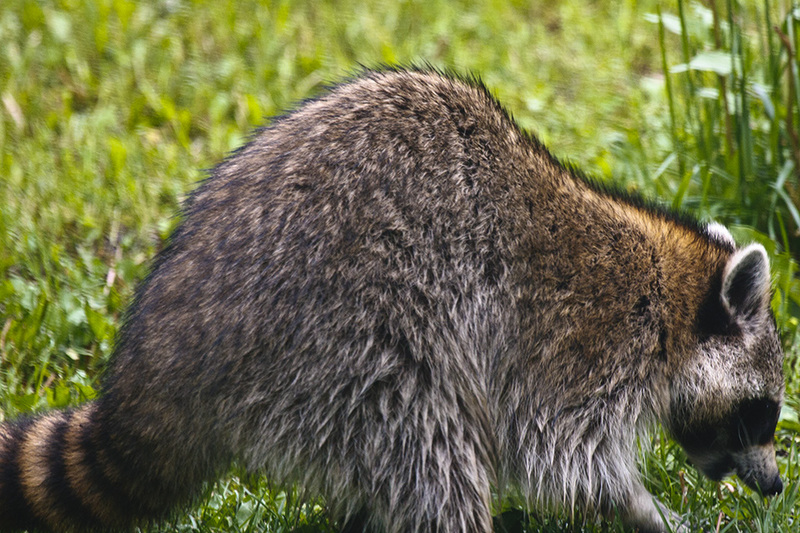 This subspecies is recognized by its smaller size, its shorter tail, and its preference for grassland habitats. 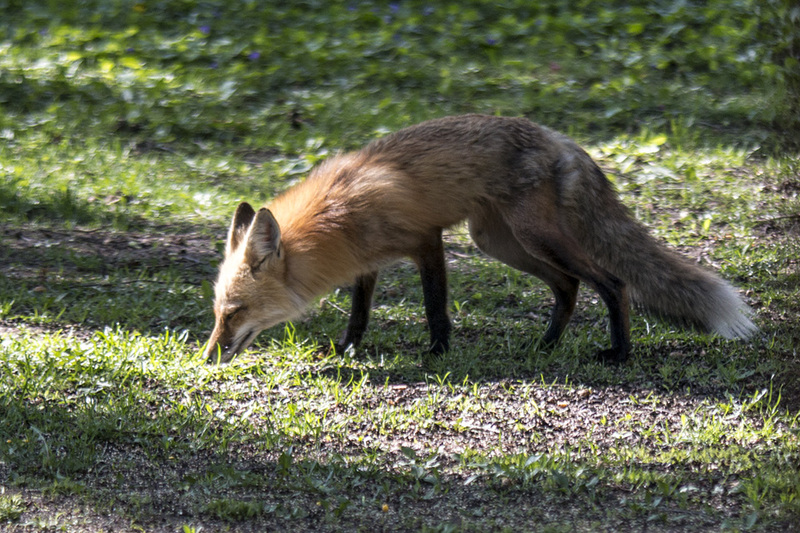 If you do not see a linked page for a mammal in the list at left you can still upload a photo or video as an email attachment or report a sighting for that mammal. Click on one of the buttons below and type in the common name and/or scientific name of the mammal in your photo, video, or sighting. 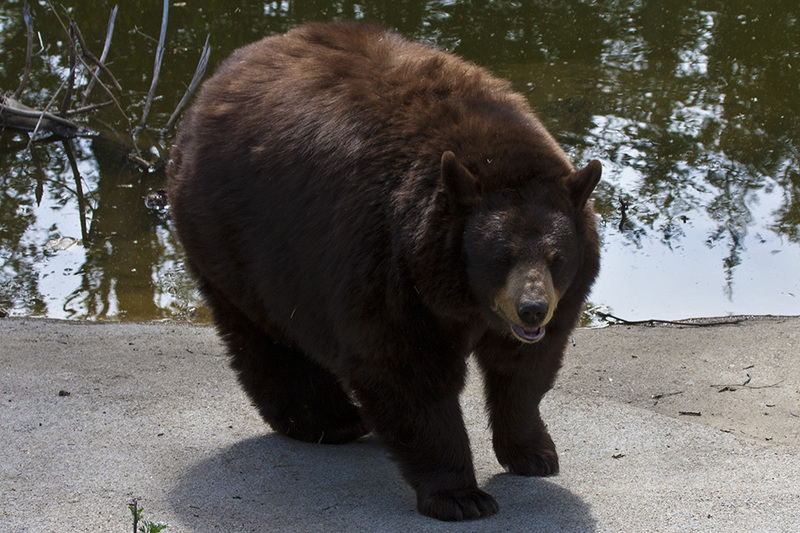 A new page will be created for that mammal featuring your contribution. 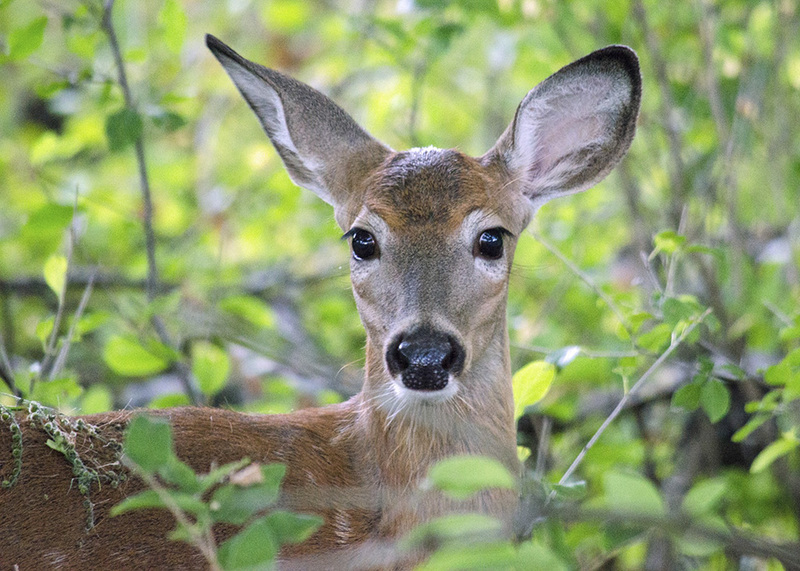 Some authors capitalize mammal common names, but this is controversial and generally not accepted.